In 1961 a musical called How To Succeed In Business Without Really Trying made light of the growing corporate culture in America. Half a century later, those same corporations are seen by many as a necessary evil, a soulless machine that runs on the lives of its employees. It's appropriate, then, that Human Resource Machine is more or less the opposite of How To Succeed in Business: instead of starting in the mailroom and becoming the CEO in a fun-filled week of singing and dancing, you play a literal human machine whose behavior is programmed like a computer, and who spends decades in service to a company that has nothing but contempt for you. It's a fun puzzle game. Players start out in the mail room (just like the musical), where they're told to move indistinct boxes from one conveyor belt to another. There's no direct control - instead, you're tasked with creating a series of commands that result in the tiny player-character performing the desired actions in sequence. It's a sort of cartoony, whimsical take on computer programming, starting with basic commands and repetition and graduating to more complex methods to access more subtle behavior. If that sounds kind of dry, consider it as a more direct form of the trial-and-error gameplay that typifies physics puzzlers. You don't need to be an actual programmer to get a handle on the game mechanics, but those with a programming background will definitely get a kick out of it. 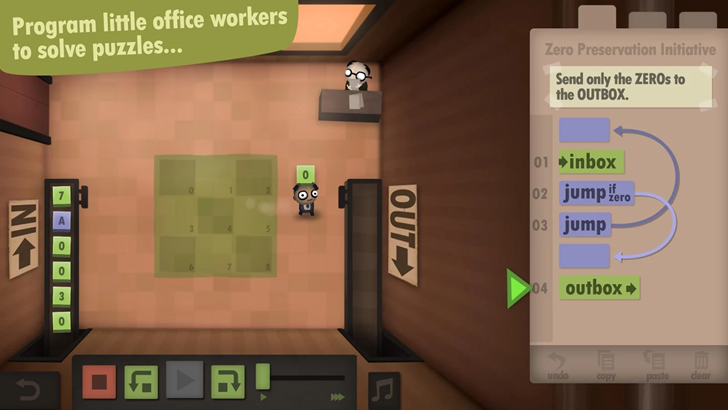 Human Resource Machine comes from developer Tomorrow Corporation, the makers of Little Inferno and World of Goo. It hit Steam last fall for $10, which makes the Play Store price of $5 with no in-app purchases seem like a bargain. 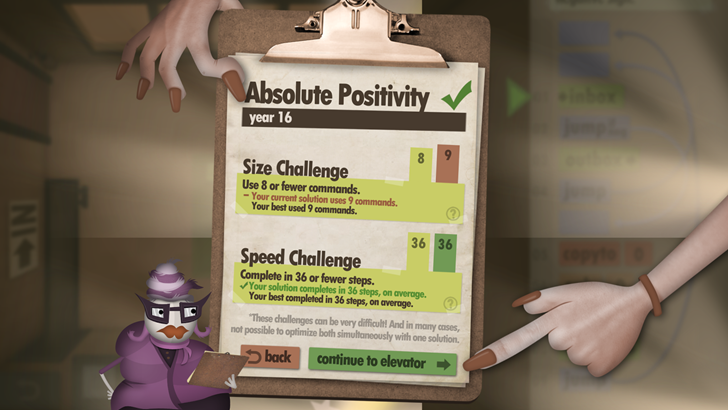 The art style is simple and muted, adding to the theme of hopeless corporate drones (in a cute sort of way). Check it out if you're looking for a puzzle game that can also scratch your programming itch.